Cat is a destination wedding photographer in Telluride, Mountain Village, Ouray & Ridgway, Colorado. I have been photographing destination weddings in Telluride and the San Juan Mountains since 2009. Brides and grooms choose destination weddings here because of the beautiful mountain wedding backdrop of the Colorado Rocky Mountains. This former mining town boasts spectacular mountain scenery, varied outdoor activities, top restaurants and hotels, loads of local shopping, and a laid-back après-ski lifestyle and nightlife—a perfect weekend getaway. The prettiest time of year for wedding pictures in Telluride is June to September, in my opinion. In summer, wildflowers abound at the foot of the snowcapped San Juans. By autumn, the aspen tree groves turn their golden fall colors. If winter is more your style, the skiing and après activities ensure an epic wedding weekend for your guests, not to mention they can be transported to your wedding via snowcat and greeted with an ice bar. Whether summer or winter, this lively town offers a full schedule of activities for families to enjoy during your destination wedding weekend. In summer, the weekend festival schedule celebrates everything from film to yoga to music, and keeps this tucked-away ski town buzzing with activity. The hiking, fishing and mountain biking are endless. You can learn more here. Don’t let the laid-back charm of Telluride fool you. This ski town has luxury wedding venues for ceremonies and receptions that rival any in Colorado. The San Juans are arguably the most beautiful of Colorado’s mountain ranges, and all my favorite wedding venues take advantage of the stunning views of these one-of-a-kind mountain peaks. San Sophia Overlook - This is the view for which the ski resort’s most coveted wedding ceremony location is famous. Brides who walk down the aisle at this mountaintop wedding deck make a dramatic and memorable entrance, and the view is a treat for all their guests. Keep in mind that the wedding deck faces east toward the town below and the facing mountains. During family photos following afternoon ceremonies, people are facing the sun. This is no problem on cloudy and overcast days, but on sunny afternoons, be aware that you and your family will be squinting into the sun during their portraits. The views are so gorgeous that this is a small, secondary concern for most couples. Gorrono Ranch - One of my favorite wedding ceremony locations because of its rustic, Colorado ambiance, sweeping mountain views and because the venue faces the sunset to the west—perfect lighting for wedding photographs, ceremony through sunset. During afternoon ceremonies, the sun is behind the bride and groom with Wilson Peak and the range providing the purple mountain backdrop. In the afternoon and evening, the sun is behind the couple and during formal portraits so sunny or cloudy days are not an issue for beautiful wedding photographs at Gorrono Ranch. The Gorrono Saloon, an historical landmark, is a perfect getting-ready place for the bride, and the indoor reception space is perfect for formal dinners and dancing. Allred’s - Allred’s is the ski resort’s mountaintop bar and restaurant, with expansive floor-to-ceiling scenic views thanks to its entire wall of windows in the restaurant and bar. Dinner service here is top-notch and elegant. Allred’s is located at the San Sophia gondola station, making it an easy commute for guests staying at hotels either in town or up in Mountain Village. Golden Ledge on Last Dollar Road - This location is one of the highest in elevation, and most beautiful. Owned by a private landowner, it is leased for weddings through top local wedding planners. Because Golden Ledge is private, undeveloped land without amenities, only full-service tented weddings are possible here. This location is tops for a truly unforgettable mountain wedding experience, with soaring mountain views where you and your guests will dance among the aspen trees on mountaintops as late into the night as you like. St. Patrick’s Church - Over 100 years old, this quaint and historic church in the heart of town is an ideal ceremony spot for brides and grooms who want to incorporate their Catholic faith into their day. The church is idyllic, has loads of natural light, and a large, wide-open space for the wedding party to wait before the ceremony. The Peaks Resort & Spa - The Peaks has a wedding deck facing the mountains, aspen groves, and a golf course below. The deck has a glass railing allowing for ceremonies with unobstructed views. The Peaks boasts arguably the nicest spa in Telluride, along with a few guest-favorite pools, and lots of pretty spots on property for wedding party, family and bride & groom portraits. Private ranches and estates - There are many private estates and ranches here, and the best way to access them is by enlisting the help of a local wedding planner. I highly recommend hiring a locally-based wedding planner. This is home to some of the industry's best, most experienced luxury wedding planners who are known for consistently creating the most spectacular, memorable destination weddings in the area. By Sutton - Sutton is an all-around sweetheart and 5th-generation local. She values relationships with her clients. She is a master at taking a client's dream and turning it into a flawless reality. By way of her warm nature and clearly defined style (see her Instagram stories and curated feed! ), she naturally attracts clients who desire access to her wealth of local industry knowledge and unparalleled attention to detail. She chooses to work with couples whose vision and love story inspires and excites her to share it in the most original and beautifully curated way imaginable. Her clients call her an invaluable resource, an advocate for their needs and a trusted friend who represent them with honor and authenticity. Polished Fun - Amy grew up working alongside her mother producing concerts and events at the Sheridan Opera House. After time working in California and New York, she came back to her hometown and has been planning destination weddings here ever since. With Polished Fun, she puts her clients' ideas and visions at the forefront of every design project, and works to create stylish destination weddings that are true reflections of the bride and groom. I saw her team convert Golden Ledge into an incredible space, complete with a 300-person wedding tent, its ceiling covered in greenery; a custom-built, raised wood deck for dancing; an outdoor bar and living room vignettes throughout to encourage guests to relax and enjoy. Simplify Telluride - Monique and Mary Ellen plan lovely, memorable weddings to the very last detail. Whether events large or intimate, their service is top-notch and with an extremely personal touch. In addition to wedding planning, they also offer concierge services to meet a client’s every possible need—and without creative limits. Longtime residents and business owners in Telluride, they are well-connected and perfectly delightful. Soirée Telluride - For nearly 20 years, Wendy and company have flawlessly executed countless luxury weddings, specializing in creating the ultimate venues from scratch utilizing their hallmark design/build approach. Soirée leverages its solid reputation and longstanding partnerships with local landowners and creative partners to produce exquisite tented events, with every possible amenity, in the heart of the area’s beauty. Never working from templates, Soirée tailors each and every event to the unique vision of their exclusive clients. 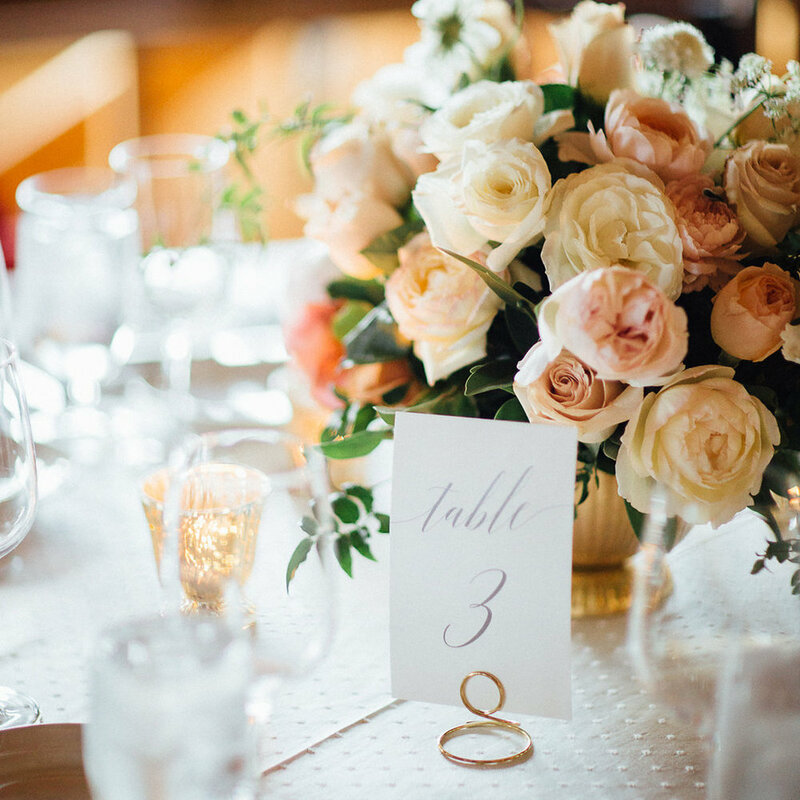 Telluride Unveiled - Meehan is the talent and owner, where she has provided guidance and direction for nearly 20 years for brides and grooms seeking a destination wedding here. She considers every detail to ensure that each moment is an unforgettable experience. At a winter wedding I photographed, she arranged for guests to arrive via snowcat, had them greeted with an ice bar and hot chocolate, and guided them to a ceremony site entirely lit with hundreds of candles. The bride walked down the aisle just as the sun dipped below Wilson Peak, the sky glowing blue and the stars beginning to sparkle—impeccable timing. I’ve seen clients and guests cheer her at receptions for her exceptional work. All the venues listed above are my favorite places to photograph weddings because they are incredible locations with picture perfect mountain vistas and gorgeous, warm Colorado sunlight. There are also other places that make for great spots for bride and groom portraits, or engagement shoots before your wedding. Bridal Veil Falls is clearly visible at the end of Colorado Avenue (Main Street), and downtown has many charming historic homes and buildings like the New Sheridan Hotel and the adorable The Butcher & Baker (a great place to grab your morning coffee or a sandwich.) Town Park is full of greenery with mountain backdrops, a river and walking bridges. Bride and groom portraits in town will capture the charm and history of this special place in your wedding pictures. Some brides and grooms who are getting married in town, such as at St. Patrick’s Church, opt to parade all guests down Colorado Avenue to the gondola or shuttles to the reception venue! Although downtown can be the perfect location for wedding pictures, there is no shortage of locations that will incorporate majestic mountain views into your wedding pictures. Several trails ascend directly from town, and Mountain Village also has many gorgeous places among its thick aspen groves. Most of the mountain venues like Gorrono Ranch, San Sophia Overlook and Golden Ledge are already beautiful places for portraits, so you will want to have your wedding pictures taken at these venues. If you have an hour to spare for bride & groom portraits, driving up to Last Dollar Road can be a great way to get spectacular wedding pictures in Telluride. (Your entire wedding day will be shot in this magnificent location if you’re getting married at Golden Ledge.) Last Dollar Road has gorgeous landscape perfect for dramatic wedding portraits. The road is a steady climb among fields of grasses and flowers, aspen trees and miles of mountain vista views. It summits at over 10,000 feet, putting you in the mountaintops. It’s a gorgeous area that is unique to this area of Colorado. Bride and Groom with Bridal Veil Falls in the background, between ceremony and reception. Bride and Groom walking through town after their morning wedding at St. Patrick’s Church and before their reception at Allred’s. It’s easy to get here with the local airport 15 minutes from the heart of town. Many wedding guests may enjoy are more scenic drive via Colorado’s mountain highways. In that case, guests can choose into fly Montrose (MTJ) and drive Highway 550 to Ridgway, turning west on Highway 62, then south on Highway 145 into Telluride (about 1 hours, 30 minutes/67 miles.) This drive, part of the San Juan Skyway, is one of the prettiest in Colorado as you climb through some of Colorado’s most gorgeous mountains—the San Juans. On this short drive, you will pass the beautifully conserved land and working ranch that is the Double RL, owned by Ralph and Ricky Lauren. Early summer to late summer are the most popular times of year for weddings in Telluride because the weather is typically sunny and warm. Although the mountains have their share of rain starting in mid to late July because of the afternoon monsoons, rain usually lasts for a very short period of time before the sun comes out again. It’s not unusual for afternoon weddings in summer to start a bit late due to light rain or heavy clouds. It’s fairly common and usually nothing to worry about. We have a saying in the mountains: If you don’t like the weather, wait a minute! I have never photographed a wedding here that was so delayed due to weather that it affected the schedule more than 15-20 minutes. A need for flexibility comes with the territory when having an outdoor wedding in the Colorado mountains! A note about winter weddings: If you are planning a winter wedding, be aware that I-70 can close at Eisenhower Tunnel just outside of Denver, at Silverthorne, Vail Pass, and Highway 62 between Montrose airport/Ridgway and Telluride at any time due to sudden snowstorms and ice. This can happen anytime between October and May, but closures are most common November to March.